May 6, 2017 was the opening day of boating season in the Seattle, WA area, and although many people don’t wait for the official day to launch their boats, once that magical day hits, lakes and rivers become summertime playgrounds for boaters. It is estimated that there are about 74 million people in the United States alone who take to the water in a boat each summer. That’s a lot of people in a lot of boats, which could result in a lot of accidents. That’s why it’s so important to practice good boating safety habits. A collision occured involving 2 boats, or a boat and an object. These accidents result in millions of dollars of damage, either to property or personal injury. A current and accurate weather report can be your best friend. Avoid going out on the water if weather conditions are stormy. Although you may start out on calm day, the weather can change quickly and drastically. At the first sign of changing conditions, it’s time to get off the water. The majority of all drowning victims are not wearing life jackets…. Don’t drink and drive a boat! Alcohol is a huge contributing factor in boating accidents and fatalities…it affects your vision, judgement, balance and coordination. It’s best to save your alcoholic beverages until after you have docked. Stay sharp, and stay safe. Develop and share your boating plan. Names and phone numbers of all those who will be on board. Boat registration information…type and name of boat. Especially if you are a beginning boater, but even if you are seasoned…a boating coarse can teach you something new or remind you of something you may have forgotten. Get your boat safety checked. Did you know that the US Coast Guard will provide free safety checks? That’s an awesome service, to have a skilled professional look over your vessel to make sure it is safe and sea worthy. 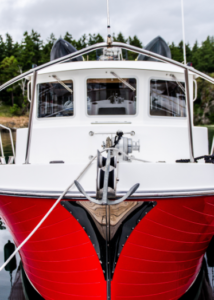 An extremely important part of boating safety is boat Insurance. 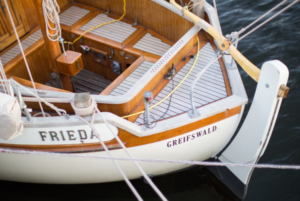 Boaters have special insurance needs, some of which you may not even be aware of. Enjoy this brief video, then if you have any questions about your boat insurance coverage or if you’d like a free quote, Contact Us at Whitcomb Insurance.